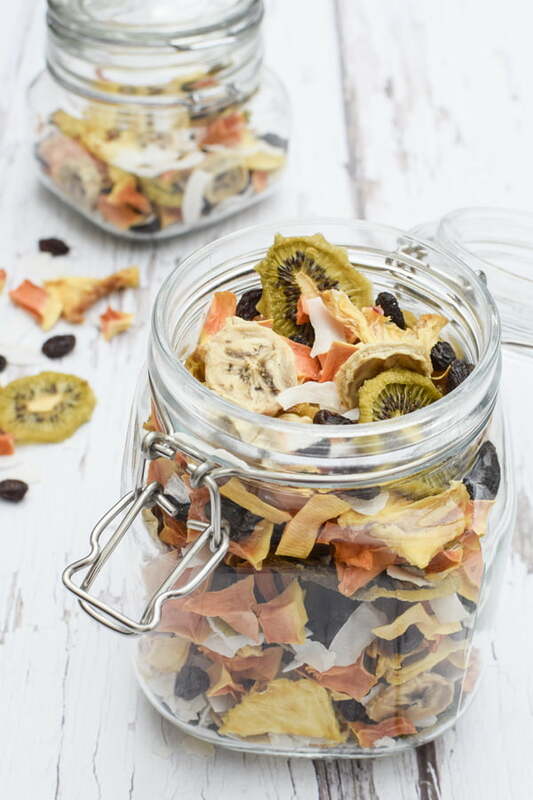 Tasty and delicious, this Tropical Fruit Mix is made with a food dehydrator. Perfect for lunch boxes, mid afternoon snack or as cereal topping, without added sugar or preservatives. After I started dehydrating fresh fruits I realised there was a big difference in sugary taste from storebought dry fruit snacks. For this recipe, I have used ripe kiwis, bananas, pineapple and papaya blended with coconut shavings and raisins. 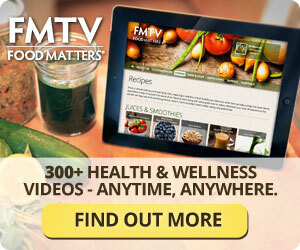 The quantities for each fruit in the ingredient list below are indicative. Feel free to play around to suit your personal liking or whatever seasonal produce is available. For this recipe, I have used my BioChef Arizona Sol Food Dehydrator which is my secret weapon to make healthy snacks and treats. It takes between 6-10 hours to dry the fruits and I would advice that, after 4 hours, you check progress every hour or so. 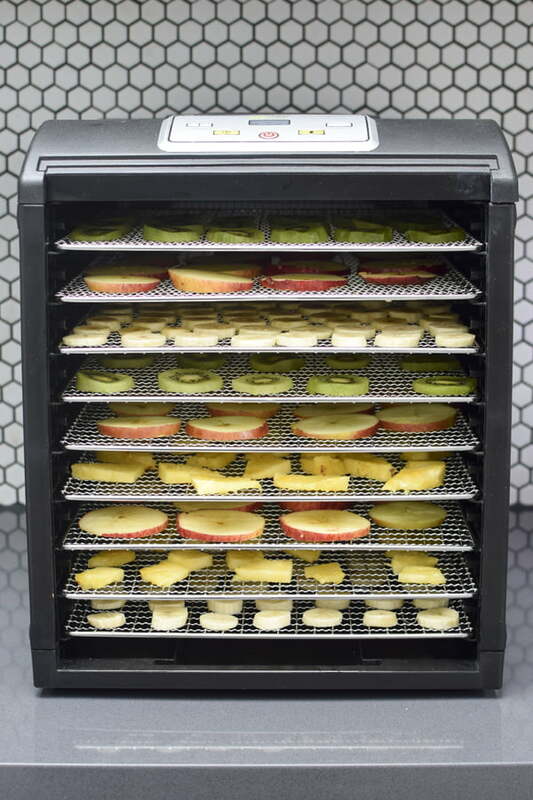 The duration will depend on the performance of your dehydrator and each fruit. Whether you like them chewy or crispy will also affect the length of time you need to dehydrate them for. The massive advantage of the BioChef Arizona Sol Food Dehydrator is that is has an horizontal airflow which ensures even heat distribution so that each tray (front and back) is dried equally. Its vertical shelving design is also really practical as it enables to easily and frequently check on the progress of the dried foods. You can read my review here. Remove core and skin from pineapple and papaya and cut into 1 cm cubes [0.4 inches]. Lay of dehydrator trays. Peel kiwis and cut into 0.5cm thick slices [0.2 inches]. Lay of dehydrator trays. Cut peeled bananas into 0.5cm thick slices [0.2 inches]. 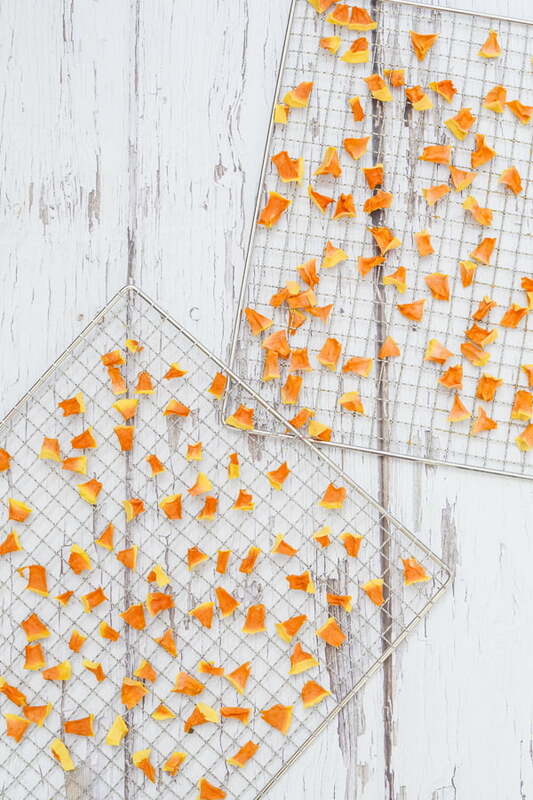 Dip into lemon juice and lay of dehydrator trays. Place trays in the dehydrator at 55°C / 135°F for 6 to 8 hours. After 4 hours, check every hour or so. The dehydration time will depends on each fruit but also on how dry you want them to be. Fruits should be bendable and a bit chewy. Different fruits might not dehydrate at the same time. Some trays might need removing before others. When done place all fruits in a large salad bowl with coconut shavings and raisins. Mix well, then transfer to an airtight jar.